In a blow to transparency, the Dallas Police Department is refusing to release the 911 recordings of Amber Guyger's calls after she killed Botham Jean. 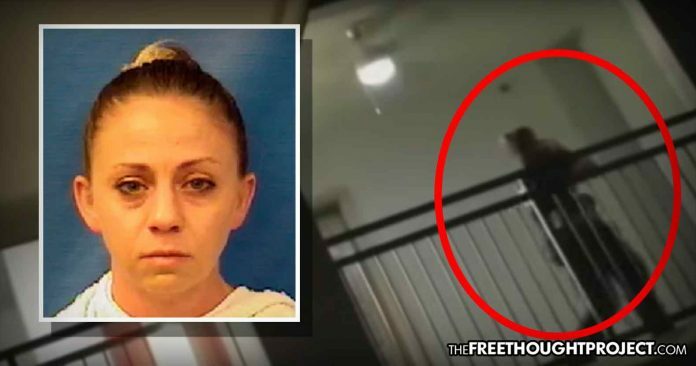 Dallas, TX — Last week, after pressure from activists within the community, the Dallas police department finally fired Amber Guyger, citing ‘adverse conduct’ after she admitted to killing Botham Jean. While this is certainly a step forward, the way the city and the department are handling this case has been tainted from the beginning. Now, in yet another opaque moment of corruption, the department is refusing to release the 911 calls made by Guyger on the night she killed Jean. The 911 call is a most crucial aspect to this case as it was cited multiple times in the arrest warrant and likely contains many answers to questions which Jean’s family has been asking since the start of this tragic case. Given all the details in the arrest warrant about what transpired on the 911 call, it seems that if the department was interested in transparency, that they would immediately release the recordings. However, the department and the city seemingly could not care less about being transparent. According to the Dallas Morning News, the city is claiming that they can’t release the 911 calls because it would ruin their investigation. However, many departments across the country quickly release 911 call recordings soon after they are made and this doesn’t seem to hinder their investigation at all. What’s more, the 911 calls are only a small portion of the information that the department is refusing to release in regard to this killer cop. According to the Dallas Morning News, other records that police and prosecutors refuse to release include: Guyger’s personnel file, records related to her shooting of a man she said took her Taser during a struggle in 2017, Guyger’s clock-in and clock-out times the day of the shooting, Guyger’s annual salary, previous administrative leave with the department, other 911 calls about the shooting, Guyger’s work schedule, body camera and dash camera videos, and any off-duty jobs she was approved to work. They have also refused to release the results of her drug and alcohol tests the public was told she was given that night. On the contrary, however, the police had no problem releasing information about the victim. On the day this mother had to bury her son, police chose to release the results of the search warrant from his apartment, claiming they found a tiny bit of pot. Adding to the insidious nature of their “investigation” is the fact that no search warrant was ever executed on Guyger’s apartment. Why is that? While we don’t know their exact reasoning behind keeping the 911 recordings secret, we do know that there is conflicting information about what really happened, up to and including the fact that witnesses dispute Guyger’s claims. Indeed they do. Since the beginning of this case, the only person police seem to be interested in “investigating” is the victim. The only information they have released to the public in regard to the shooting is about the victim. If we are to believe the rest of this information is being kept secret to keep from tainting the investigation, judging by the information already released, it is clear who’s going to benefit from it and it most certainly won’t be Botham Jean’s family.